Do you love Cocker Spaniels?. Then you will love this heart! Applied to our beautiful high quality hand rolled earthenware hearts, each one is tied with a British made ribbon and a charm style bead for a high end finish. Handmade in Stoke on Trent, England. Text Reads "Ay Up Duck". White background with image of a Duck. Fantastic Cream Ceramic Hanging Heart Decoration. Mathew and Rachel Dimbleby are inspired by their passion for ceramic design and painting. Handmade in Stoke on Trent, England. White background with image of a Pug Dog. Fantastic Cream Ceramic Hanging Heart Decoration. Mathew and Rachel Dimbleby are inspired by their passion for ceramic design and painting. Handmade in Stoke on Trent, England. White background with image of a Corgi Dog. 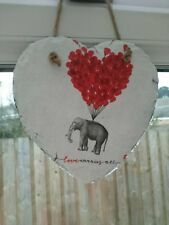 Fantastic Cream Ceramic Hanging Heart Decoration. Mathew and Rachel Dimbleby are inspired by their passion for ceramic design and painting. Give your decor a perfect finishing touch with this beautiful hanging mirror. Material: Mirror. Shape: Heart. Care Instructions: Wipe clean with a soft cloth. Handmade in Stoke on Trent, England. White background with image of a Dachshund Dog. 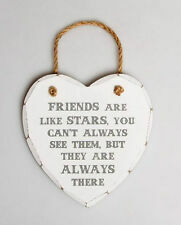 Fantastic Cream Ceramic Hanging Heart Decoration. Mathew and Rachel Dimbleby are inspired by their passion for ceramic design and painting. Handmade in Stoke on Trent, England. White background with image of a Scottie Dog. Fantastic Cream Ceramic Hanging Heart Decoration. Mathew and Rachel Dimbleby are inspired by their passion for ceramic design and painting. Handmade in Stoke on Trent, England. Fantastic Cream Ceramic Hanging Heart Decoration. Mathew and Rachel Dimbleby are inspired by their passion for ceramic design and painting. They have combine their talents and knowledge to design and make unique ceramics which feature the watercolour illustrations of Rachel. White background with image of a Schnauzer Dog. Handmade in Stoke on Trent, England. Fantastic Cream Ceramic Hanging Heart Decoration. Mathew and Rachel Dimbleby are inspired by their passion for ceramic design and painting. Mathew and Rachel Dimbleby are inspired by their passion for ceramic design and painting. They have combine their talents and knowledge to design and make unique ceramics which feature the watercolour illustrations of Rachel. You star. design ceramic star shaped decoration with gold ribbon hanger. Mathew and Rachel Dimbleby are inspired by their passion for ceramic design and painting. They have combine their talents and knowledge to design and make unique ceramics which feature the watercolour illustrations of Rachel. Handmade in Stoke on Trent, England. White background with image of a Springer Spaniel Dog. 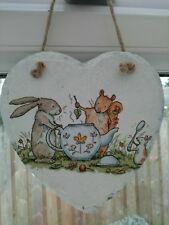 Fantastic Cream Ceramic Hanging Heart Decoration. Mathew and Rachel Dimbleby are inspired by their passion for ceramic design and painting. Shh I've got Gin flu. 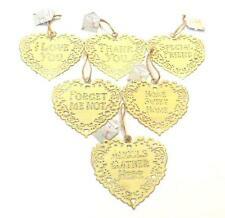 design ceramic heart shaped decoration with gold ribbon hanger. Mathew and Rachel Dimbleby are inspired by their passion for ceramic design and painting. They have combine their talents and knowledge to design and make unique ceramics which feature the watercolour illustrations of Rachel. Shh I've got Prosecco flu. design ceramic heart shaped decoration with gold ribbon hanger. Mathew and Rachel Dimbleby are inspired by their passion for ceramic design and painting. They have combine their talents and knowledge to design and make unique ceramics which feature the watercolour illustrations of Rachel. Shh I've got Wine flu. design ceramic heart shaped decoration with gold ribbon hanger. Mathew and Rachel Dimbleby are inspired by their passion for ceramic design and painting. They have combine their talents and knowledge to design and make unique ceramics which feature the watercolour illustrations of Rachel. Handmade in Stoke on Trent, England. Cream background with image of a Dachshund Dog in 22 Carat Gold. Fantastic Cream Ceramic Hanging Heart Decoration. Mathew and Rachel Dimbleby are inspired by their passion for ceramic design and painting. Beware of pit bulls, they will steal your heart! Colorful pit bull by renowned artist Dean Russo. Indoor use only. High Quality and Design Personalized Custom Teddy Bear Wall Plaque. You can see yourself in the mirror and it's one of a kind, very popular, and cool. 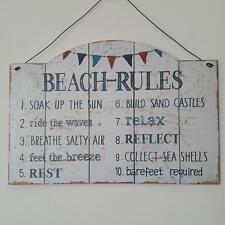 Great for your room or door. It's personalized, easy hanging, and a unique gift.